FRIDAY, Sept. 9, 2016 (HealthDay News) -- Climate change, and the warmer summers it will bring, could blanket much of the western United States with persistent "smoke waves" -- consecutive days of air pollution from wildfires, a new study warns. "More people in the western U.S. are likely to experience high-pollution episodes from wildfires, and the pollution episodes are likely to be more frequent, last longer and be more intense," said study author Jia Coco Liu. She was a graduate student at the Yale School of Forestry & Environmental Studies when the study was conducted. Northern California, western Oregon and the Great Plains will bear the brunt of the pollution, the researchers said. Wildfires occur frequently in the vast, dry West. The smoke they produce can spread far beyond the burning landscape, and the full impact on human health is still unclear. "The smoke has been long recognized as being harmful, and we're trying to understand how harmful," said Janice Nolen, assistant vice president of national policy with the American Lung Association. According to Liu, wildfires are a major contributor to one component of pollution in the West -- ambient fine particulates, or tiny bits of debris that can be practically invisible. Many studies have shown that these particles boost the risk of lung disease, Liu said, and some link it to heart disease. For this study, Liu and her colleagues examined the levels of fine particulate matter in 561 counties in 16 western states from 2004 to 2009. Then they predicted what those levels will be from 2046 to 2051. They focused only on levels directly linked to wildfires. Using what they called a mid-level prediction of climate change, the researchers estimated that incidents of two or more days of high pollution from wildfires will grow by 57 percent in frequency and 31 percent in intensity between the two time periods. According to Liu, more than 82 million people will be affected. That number accounts for population growth, she said, and is equivalent to 57 million people today. Moreover, the smoke-wave season will likely lengthen by 15 days, on average, in nearly two-thirds of the counties assessed. And more than half of the counties already suffering smoke waves will experience more intense smoke waves, the study predicted. But about 19 percent of the areas could see less pollution from wildfires. "It is hard to say exactly why some counties have fewer smoke waves," Liu said. However, she did say their prevalence depends on many factors such as weather, the number of trees in the area and their density. How might the extra pollution from wildfires affect health in the future? Looking at Medicare recipients, the researchers predicted that more severe wildfires would boost the likelihood that the elderly will be hospitalized for respiratory diseases. It's also possible that people could die earlier even if they're only exposed to the pollution for a brief time, said Nolen. Recent research is revealing even greater impacts from pollution than previously reported. "The more we look into the body, the more we see that pollution affects systems like development in the womb," she said. Liu's team cited a need for better wildfire management and evacuation programs in high-risk regions. 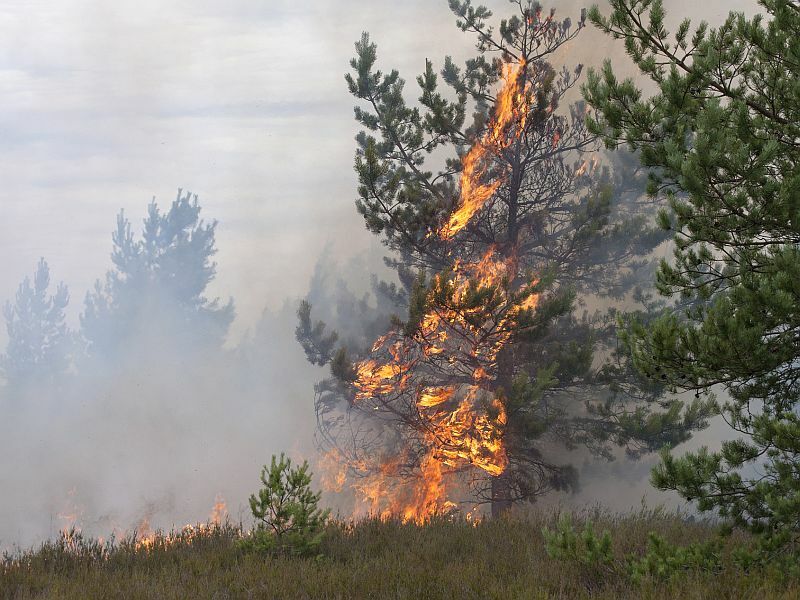 Nolen said the American Lung Association supports measures to reduce climate change and raise awareness about the long-lasting harms of wildfires. The study was published online recently in the journal Climatic Change.